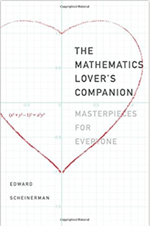 Edward Scheinerman's book is a friendly exploration of some of the most beautiful and significant results in mathematics. To what extent do algorithms dictate our lives and is that a good thing? 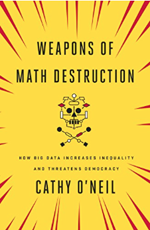 Cathy O'Neil's book explores the use of mathematical models. 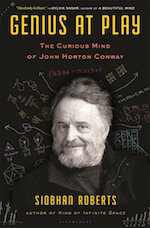 Siobbhan Roberts gives us a very personal, and mathematical, encounter with the great John Conway. 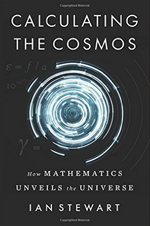 This very small book about a very large subject makes an entertaining, illuminating, and digestible read. Steve Mould, Helen Arney and Matt Parker prove that nerdery is the new rock'n'roll. 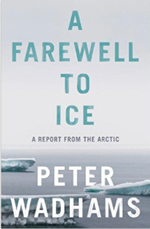 Peter Wadhams' fascinating book explores the importance of sea ice for global climate and holds some grim warnings for the future. 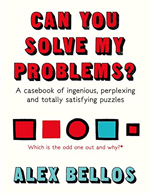 In his latest puzzle book Alex Bellos uses maths to inspire and entertain. 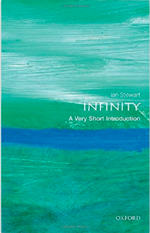 In his latest book Ian Stewart explores the Universe through a mathematical eye.